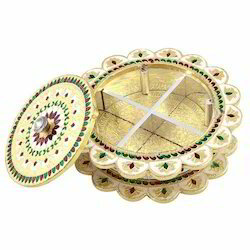 Our range of products include wooden lantern, marble lantern, antique marble lantern, white wood night lamp and white metal silver meena oval shape dry fruit box. Our clients appreciate our range of Wooden Lantern to such an extent that they keep coming back to us with repeat orders. To be assured of the faultless of each product, we subject the entire range to stringent tests, which are conducted at different stages of the production process. 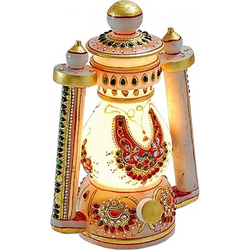 These designer lanterns are available in market at very competitive prices. We are prominent manufacturer, exporter, supplier, distributor, wholesaler, trader, retailer and importer of Marble Lanterns. Our company provides wide assortment of offered products at reasonable prices. These products are manufactured by skilled professionals using high quality marbles. Our products are recognized for their attractive designs and durability among our customers. 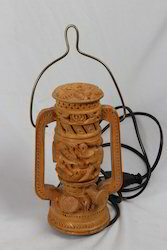 With the active support of our team of experts, we are engaged in offering a huge assortment of Antique Marble Lantern. We offer an eye-catching range of Marble Lantern that is very popular in the international market segments. 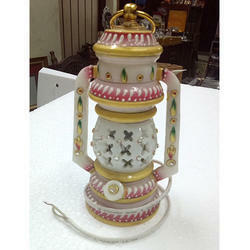 The Marble Lantern available with us is intricately designed from superior quality marble. These Decorative Stone Lantern are used for decorating the interiors of home or offices. The main features of this lantern include customized designing, use of high quality marble and attractive patterns. Available sizes 6", 8", 10", 12", 14"
With the active support of our team of experts, we are engaged in offering a huge assortment of white wood night lamp. 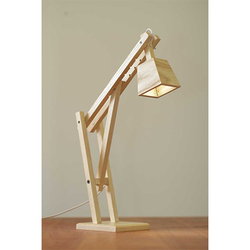 Fabricated from high-grade materials, these white wood night lamps are very attractive to look and demands very little maintenance. We take into consideration the prevailing trends and standards of the markets and offer suitable range of white wood night lamp.